There were celebrities galore at Colton Haynes‘ wedding, including the officiant … Kris Jenner!!! 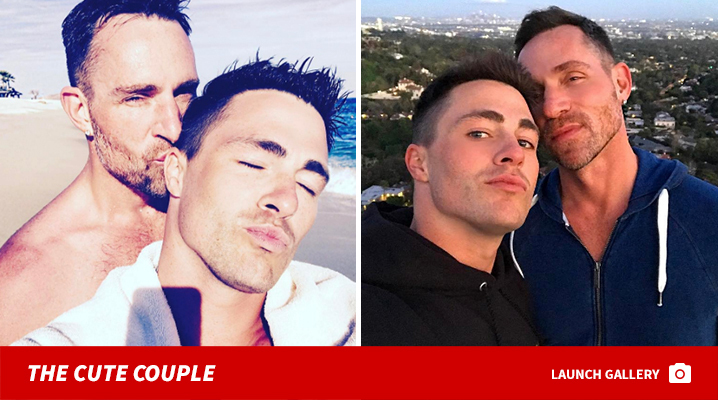 The “Teen Wolf” and “American Horror Story” star married celeb florist Jeff Leatham at the Parker hotel in Palm Springs Friday night. The couple were wed by Jenner in front of about 120 guests … which included “Modern Family” stars Jesse Tyler Ferguson and Sofia Vergara, her husband Joe Manganiello, and ‘AHS’ co-stars Billie Lourd and Leslie Grossman. Colton and Jeff got engaged in March under fireworks … with an assist from Cher.